It’s natural to want the top of the range products, and due to the popularity of every gadget being wireless I’m often asked what is the best wireless thermometer. It’s a question I dread, as the terminology seem all messed up when it comes to thermometers. For example, instant read and infrared thermometers are two categories of thermometers that are wireless (as in they have no wires) but these are generally not what professional BBQ people mean when they talk about wireless thermometers. And surprisingly, the likes of dual probe thermometers that have wires are considered wireless. Confused? Yeah, it can be a little tricky. Wireless thermometers are actually thermometers that transmit data by means other than wires, so via Bluetooth, radio frequency or wifi. So although dual probes have wires to connect to the main display box they do use wireless technologies to then send this data to another device, whereas instant read and infrared’s have no wires but don’t use wireless technology in transmitting any of the data. 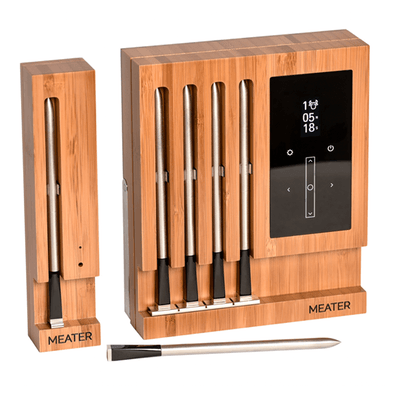 The Meater thermometer is a standout product in the wireless thermometer marketplace, as this is currently the only truly wireless thermometer (it has no wires and uses wireless technology to send data). So first place for the best wireless thermometer category has to go to them. Why does being truly wireless matter? For the vast majority of grill jockeys this will not matter. The old system of putting probes on the grill that connect to the main display box via wires before being transmitted is tried and tested and most people are happy with it. There is, however, a subsection of grilling where being truly wireless is the only option – rotisserie BBQ. Having meat continually turning on a spit means any wires will soon become too tangled to function correctly. Another reason many grillers want zero wires is that they get in the way of closing the lid. Some pitmasters do decide to go all DIY and drill small holes for the wires and others feed the wires through the readymade vent holes. None of these options are ideal, but at the same time, it’s a problem BBQ’ers have lived with for so long it no longer seems an issue. This section on the best wireless thermometer will be broken down into the different wireless technologies that are used by different products – namely radio frequency, Bluetooth, and wifi. 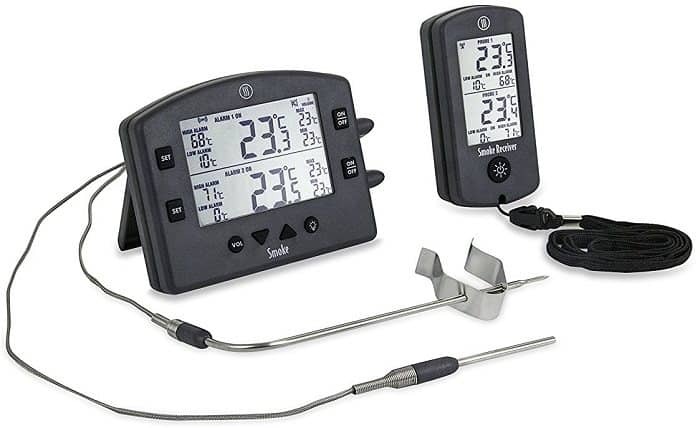 I’ll keep my recommendations short as each category has already been expanded on in this series on best outdoor cooking thermometers. The thermometer I use the most for low and slow cooking has to be the Smoke thermometer. Although Bluetooth sounds cooler and is a more recent technology, I just find the range and ease of use of radio frequency thermometers easily surpass Bluetooth. 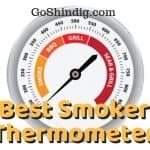 Now, although the Meater thermometer has been given first place in the best wireless thermometer category I’d still recommend the Smoke as the best all rounder and would recommend it to beginners over any other thermometer. I still use Bluetooth for a couple of speakers I have, but other than that it looks like a technology that’s on its way to the great technology scrapheap in the sky. I’m surprised so many wireless thermometers still use this technology as other than a lack of effort in research and development I don’t see why any companies flagship thermometer would solely use Bluetooth. Now, although that sounds harsh, it’s more disappointment in the technology and a belief that it will soon fade away and not so much the thermometers that actually use it. Some are actually still pretty good, it’s just time to move on. 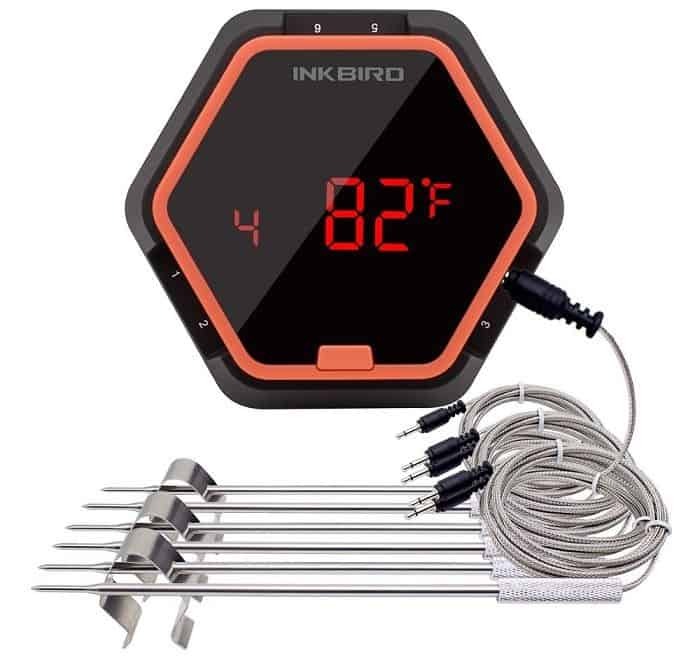 If you don’t agree with me on Bluetooth and this is the type of wireless thermometer you want then I recommend the Inkbird. Read our best Bluetooth thermometer guide for more information. Wifi is an area that is definitely going to expand. Some companies have already started making inroads with this technology but I’m sure it’s only a matter of time before every thermometer company that wants to stay afloat will soon have to venture into this market. Once connected to the internet your range is now limitless and the remote device is highly likely going to be your cell phone. Which means apps for storing your cook information and easy updates. The downside is obvious, what if you don’t have internet? Your thermometer goes from a great bit of kit to a paperweight. To counter this divide from the web-enabled and unconnected outdoors I’d recommend you buy the Smoke wifi attachment. Called the Gateway, it is a device that turns the already highly recommended radio frequency Smoke thermometer into a wifi thermometer. So now you have a great wireless thermometer with or without internet. 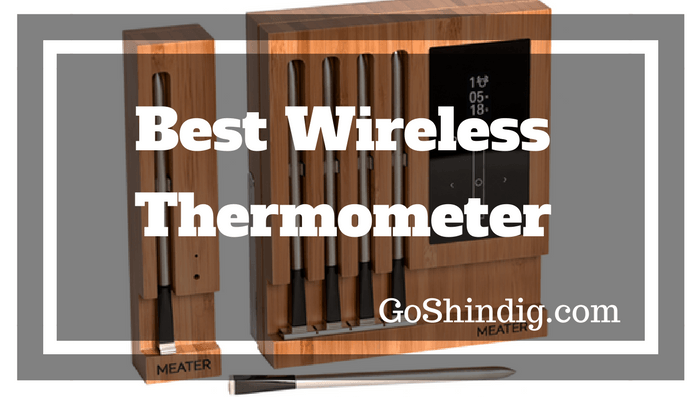 Read our best Wifi thermometer guide if you’d like to see other great wireless thermometers. 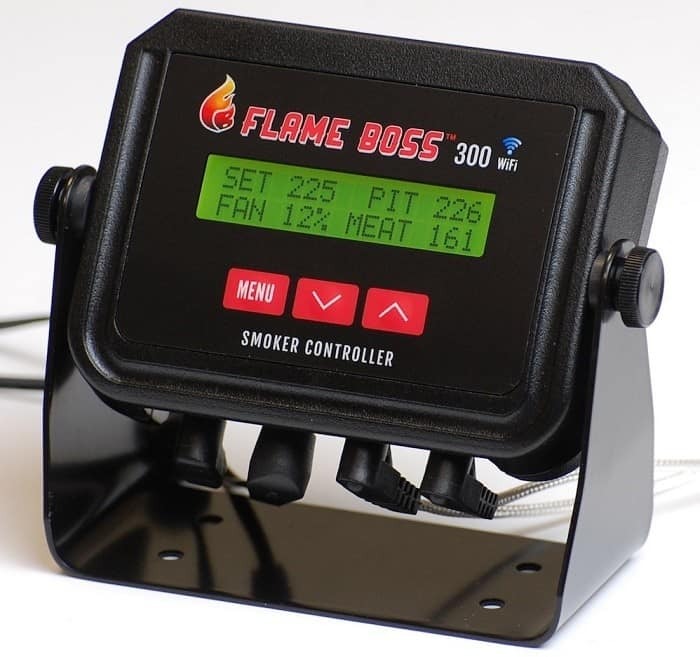 I’m going to give a second option for wifi, the Flame Boss 300, as the way it’s used is completely different. This is a wireless thermometer that is designed to control the temp of the grill (but using a fan to control oxygen to the coals).